Fly to basecamp and back with HELICOPTER! Read more! 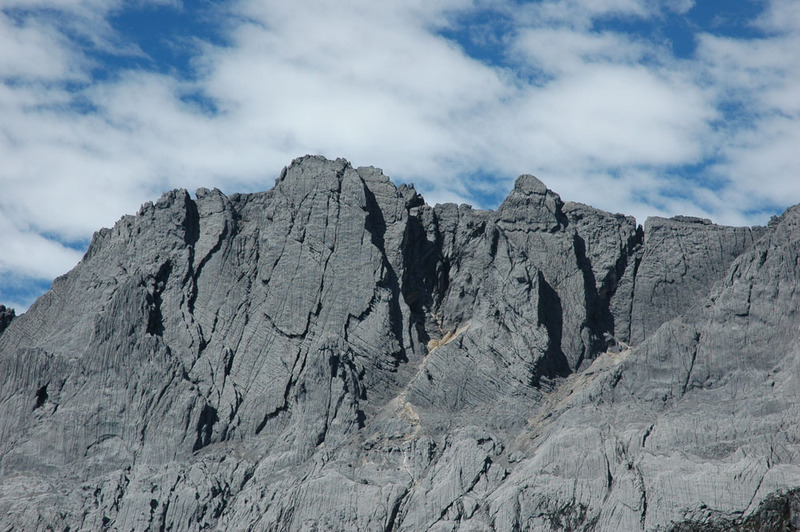 At 4,884 meters above sea level, the Carstensz Pyramid is the highest mountain on all of New Guinea and one of the famous "seven summits", the highest summits of the seven continents. 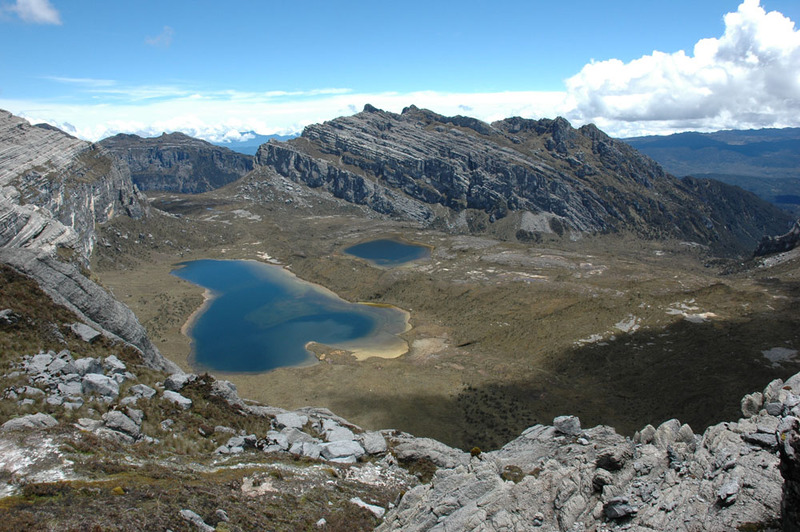 In 1962, the mountain was first climbed by Austrian Heinrich Harrer, and even today, expeditions to this mountainous region of New Guinea require complex permitting procedures. 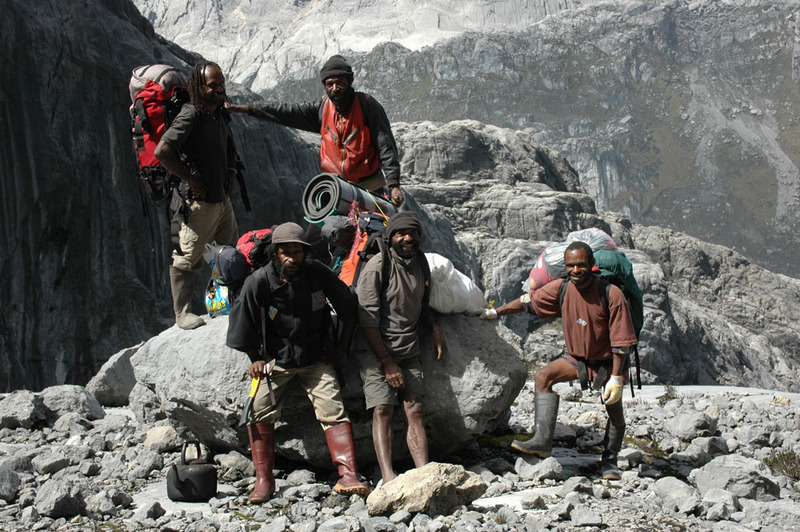 Due to his network of contacts, Dr. Weiglein is one of the few Papua experts who successfully guided and organized many expeditions to this region. 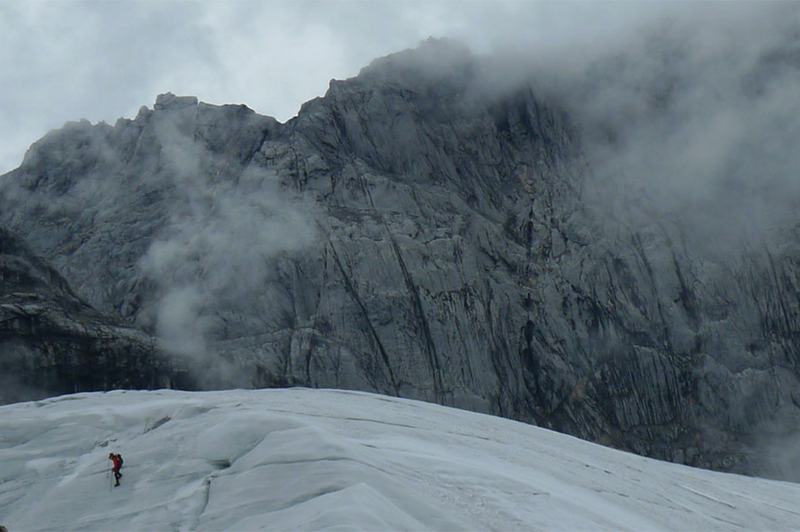 This expedition, from the jungles to the icy mountains of the Pacific, and the Carstensz Summit, is a truly unique adventure. Our representative will welcome you and transfer you to our partner hotel Ida in Kuta. We will handle all of the important formalities for your travel permit. For the rest of the day, there is no program (breakfast included). Free day in Bali for acclimatization. In the meantime, our staff in Jakarta arranges the last formalities with the authorities for the travel permit to Carstensz Pyramid (therefore the stamped Indonesian arrival visa is necessary). Around midnight, we provide pick up at the hotel and the transfer to the airport, for a Garuda Indonesia flight to Timika. Around 01:45 am, we depart with Garuda Indonesia to Timika. Arrival is around 06:00 am. You will be welcomed by Dr. Weiglein and transferred to the Hotel Komoro Tame. Today, the last preparations for the expedition must be done. In the afternoon, we may have to weigh the complete team and our luggage, in case the charter flight is scheduled for very early next morning. In the morning we will provide the transfer to the airport for charter flight to Illaga (flight time 40 minutes). Today, the whole group, including luggage, equipment, and food should be flown to Illaga by one flight. That night we will sleep in a tent camp planned in the village of Pinapa in the Illaga Valley. The rest of day is free; porters must be recruited and local government authorities must be visited. Today, a long and very exhausting route awaits us, and we start our trekking as early as possible. The climb is steep and we must reach the mountain crest behind Illaga for our tent camp. Camping on the way is not possible. Although it is a tough climb, the views and nature are amazing. Today, we mainly hike through open area, we pass sweeping landscapes, with constant but easy ascents and descents. We stop and set up tent camp in a beautiful river valley with tree ferns. 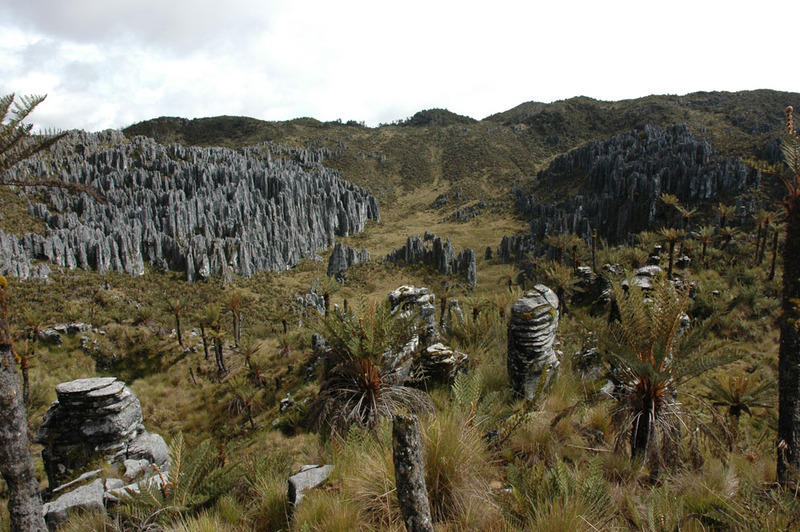 Today’s route leads us over a huge plateau and later in the afternoon into a primeval forest area. We set up tent camp with view on the Pyramid Region. We cross wonderful highland moor landscapes, with several lakes and numerous rivers. At the high water mark, the crossing of these watercourses might cause problems and delay us, but our guides are well prepared to anticipate these possibilities and adapt as necessary. 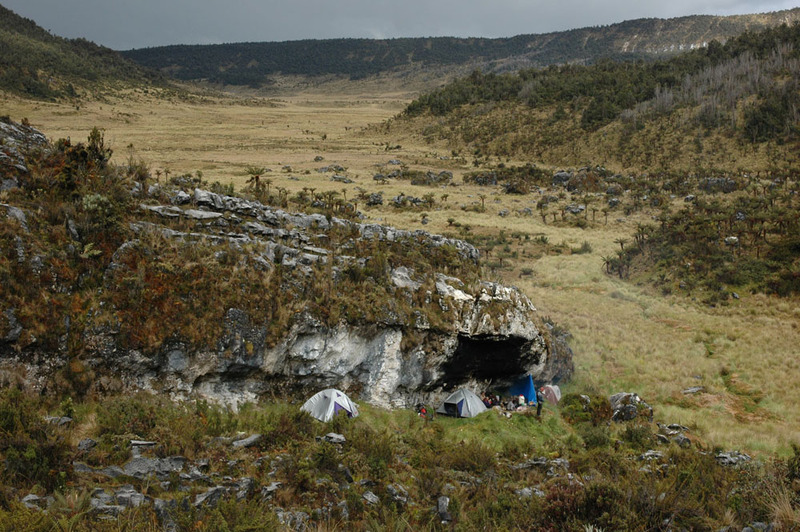 We set up tent camp at the end of the Larson drainage (close to Latolampege cave). Today, we must cross the New Zealand Pass, and it is important to take the shortest way to basecamp! 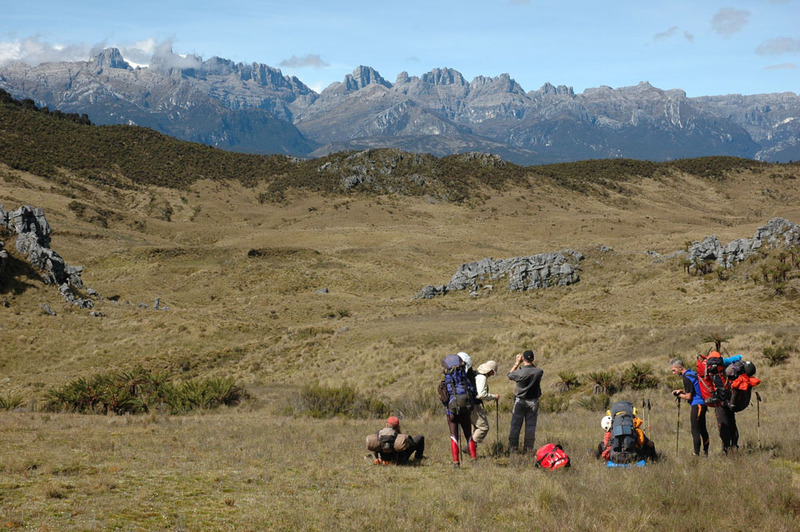 When the weather is okay, and the paths are in good condition, we will reach the so-called “Yellow Valley” around noon. Here, we raise our camp close to the mid lake. This will be our base camp and starting point for the upcoming days. Full day at basecamp. Today, we want to go to the north face at the foot of Carstensz Pyramid, and explore and prepare our starting point for the climb. Full day at basecamp. Today we hopefully (weather permitting) can climb the Pyramid! First day for return with helicopter (optional, surcharges apply). Full day at basecamp. If necessary, we will try again to reach the summit today. 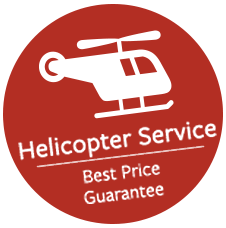 Second day for return with helicopter (optional, surcharges apply). We will take the same way back to Illaga, which we know already. Altogether five days are scheduled for the descent. Full day trekking. Today, we plan to arrive in Illaga. We catch a charter flight back to Timika. After arrival, transfer to Hotel Komoro Tame. For the rest of day there is no program. Lunch and dinner will be provided at the hotel. In morning, we provide a transfer to the airport for the Garuda Indonesia flight to Denpasar, arrival around 13:45 local time. We provide the transfer to Hotel Ida. For the rest of day there is no program (breakfast included). Transfer to the airport, departure to your next destination. 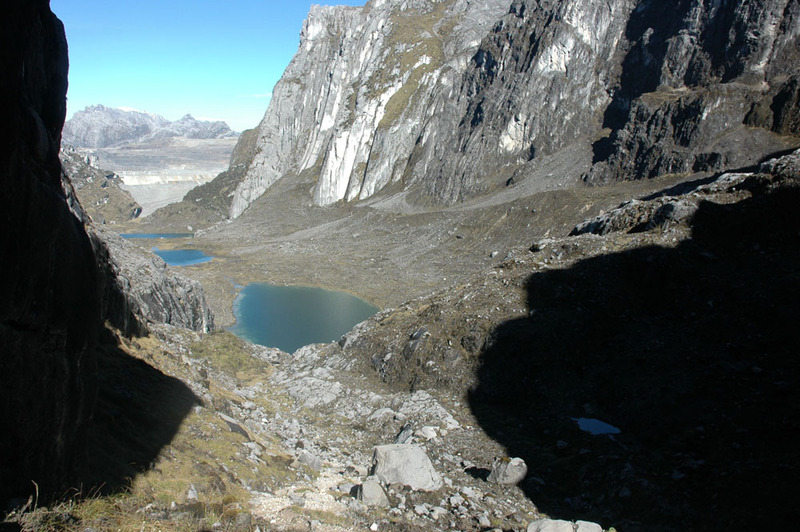 First Brazilian group on top of Carstensz! 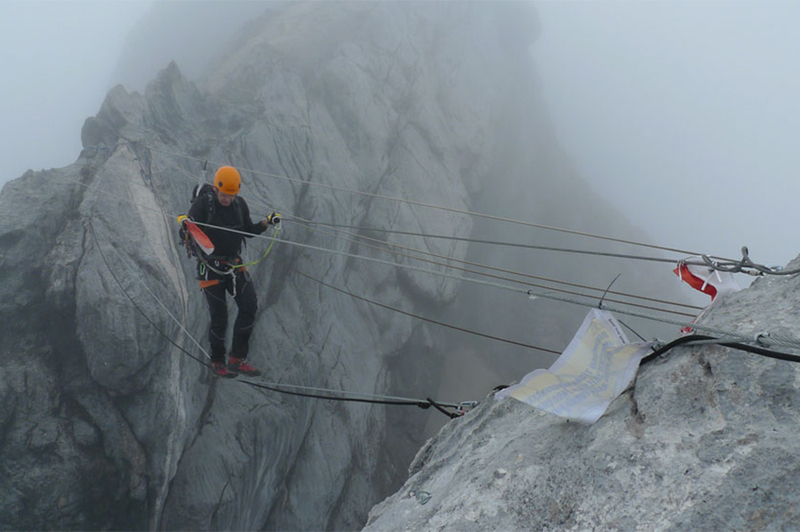 completed his seven summits by climbing Carstensz Pyramid. all seven summits. Our gratulations! "Papua General", Mr. Titus Murib, in Illaga in September 2007. • Equipment (tents, cook equipment, dishes etc) NO sleeping bag/mattress! • Sleeping bag and mattress! Our representative will welcome you and transfer you to our partner hotel Ida in Kuta. Indonesian arrival visa is necessary). For the rest of the day, there is no program (breakfast included). Around midnight, we provide pick up at the hotel and the transfer to the airport, for a Garuda Indonesia flight to Timika. Around 01:45 am, we depart with Garuda Indonesia to Timika. Arrival is around 06:00 am. You will be welcomed by your guide and transferred to the Hotel Komoro Tame. Today, the last preparations for the expedition must be done. In the afternoon, we may have to weigh the complete team and our luggage, in case the helicopter flight is scheduled for very early next morning. 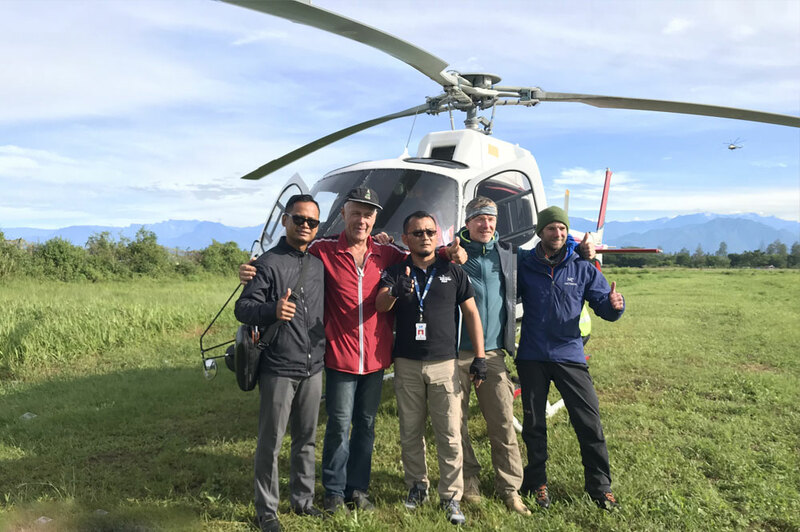 In the morning we will provide the transfer to the airport for helicopter charter flight to Carstensz Pyramid basecamp (flight time 40 minutes). 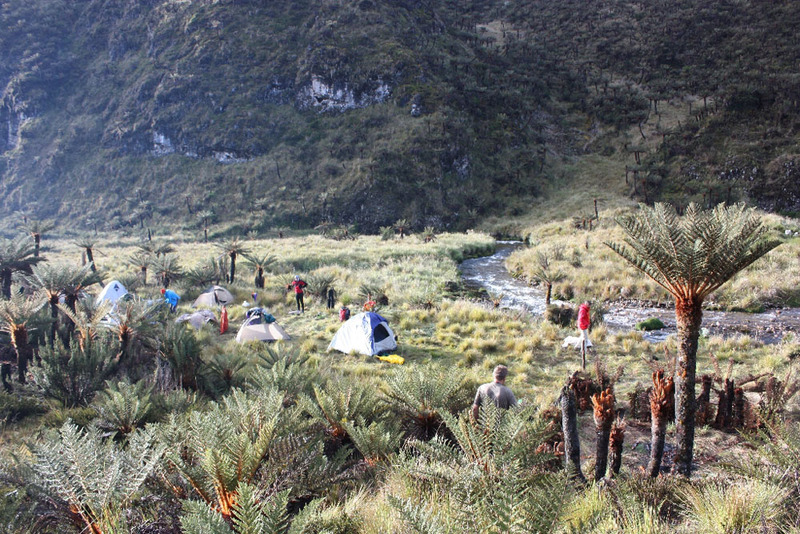 After arrival in basecamp, we set up our tents and explore the area. Second full day at basecamp. Today we hopefully (weather permitting) can climb the Pyramid! Full day at basecamp. If necessary, we will try again to reach the summit today. If applicable, start of return flights by helicopter. After arrival in Timika, we provide transfer to Hotel Komoro Tame. Rest of day no program. Lunch and dinner will be provided at the hotel. Final day for helicopter return. After arrival in Timika, we provide transfer to Hotel Komoro Tame. Rest of day no program. Lunch and dinner will be provided at the hotel. In morning, we provide a transfer to the airport for the Garuda Indonesia flight to Denpasar, arrival around 13:45 local time. End of program. Extremely dangerous ascent in the forest before the plateau! 1. SUGABA is the name of the new county seat of the district INTAN JAYA. Located at 2,020 meters above sea level, this place is widely spread and does not have a village center. From a touristic point of view, this village is not worth seeing. 2. The airfield is named BILOGAI, located exactly on 2.050 meters above sea level. Its runway is not paved. From here to the county administration it takes about 30 minutes by foot. 3. 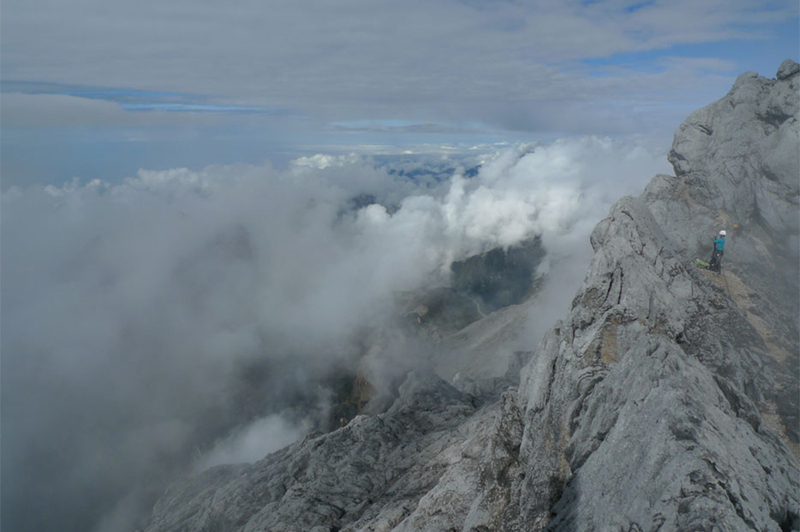 The so-called "new routing" to Carstensz Pyramid can be characterized as unfavorable (see "route profile"). The minimum trekking duration of 5 days is only possible when speculating for an absolutely illegal and forbidden car transfer through the upper Freeport Mine territory! Without this illegal transfer through the mine, trekking to the base camp takes MINIMUM 7 days and is extremely difficult and partly very dangerous! 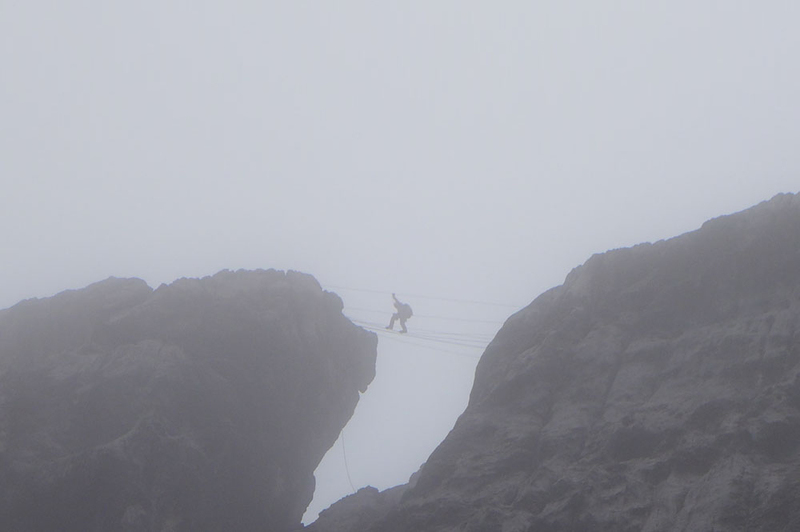 a) Above Ugimba, walking in the mountain forest - especially on the way back under bad weather conditions - is extremely dangerous and live-endangering. There is no bypass! b) In many places the local MONI tribes act hostile and uncooperative. Road blocks and obstruction of visitors - often by threat of armed violence - are common. The reason for this is a financial claim of the indigenous people against a local tour operator, who is said that he shamelessly used the workmanship of the people. This claim has not been met until this day. Conclusion: Currently (2012-2013) and in the near future, we clearly warn about using the SUGABA route! For any questions, please don't hesitate to contact us.